A whole host of energy saving devices and gadgets exist to help cut your home energy use. 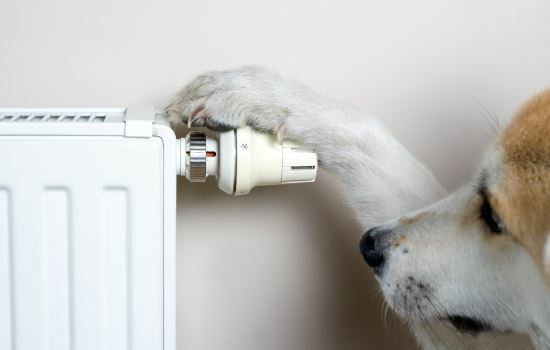 Here are some ideas to help cut your heating and electricity bills. Radiator fans work but using the convectional currents created by heat rising from your radiator. Typically this rises straight upwards and therefore can be slow to diffuse across the room, whilst if curtains are closed heat can often be transferred behind the curtain whereby it escapes via glazing which is worse at retaining heat than walls of your home. Radiator fans redirect heat energy away from the walls and towards the centre of your room. This keeps your home warmer, meaning you need to use less energy to keep your home warm. The fans themselves sit on top of your radiator and plug into the mains electricity. Only a tiny amount of electricity is required to run the fan so you get a much warmer room without increasing cost. Programmable digital thermostats give you full control over your heating system, ensuring your heating is only on when you need it, preventing you from using more energy than necessary. Get lighting in your home right and it can look great, however it can sometimes use a lot of electricity. With LED lighting that’s no longer the case. LED lighting can be up to 90% more energy efficient that halogen lighting, meaning you can enjoy your home just as you intend it to look. A typical 50 watt halogen lamp can be replaced by a 6 watt LED bulb and will look just the same. Yes we know you have been able to get low energy CFL lamps for some time now. But generally they took ages to warm up and often produced an unusual colour. With LED’s that’s no longer the case. Switching them over only takes seconds too! Energy monitors are great since they tell you in real time how much energy you are using. There are many types offering lots of different features, yet often just knowing the basics is a great way to start. Being able to see how much electricity you are using at a specific time helps you understand where you are using, or possible wasting energy. You can also switch appliances on one at a time to see how much they use and the impact they are having on your homes total energy use. Generally when boiling the kettle, people often overfill it and boil more water than required. This uses more energy than necessary and unused water is simply left in the kettle to cool down. When you come to make another cup several hours later the water is cold. Kettles such as the Vektra Eco Kettle reduce the amount of energy lost. After boiling water, they act like a vacuum flask to keep water hot for up to four hours. This reduces the need to re-boil water, cutting energy used and reducing your energy bill. Not really a gadget, but its worth understanding that windows have a poorer thermal performance than most parts of your house. That means heat escapes through them faster than it does anywhere else. Curtains add an extra barrier which prevents heat getting to the window which means your heating doesn’t need to work as hard. Just be careful not to cover radiators located under windows with floor to ceiling curtains since that could have the opposite effect and funnel all the heat towards your window.